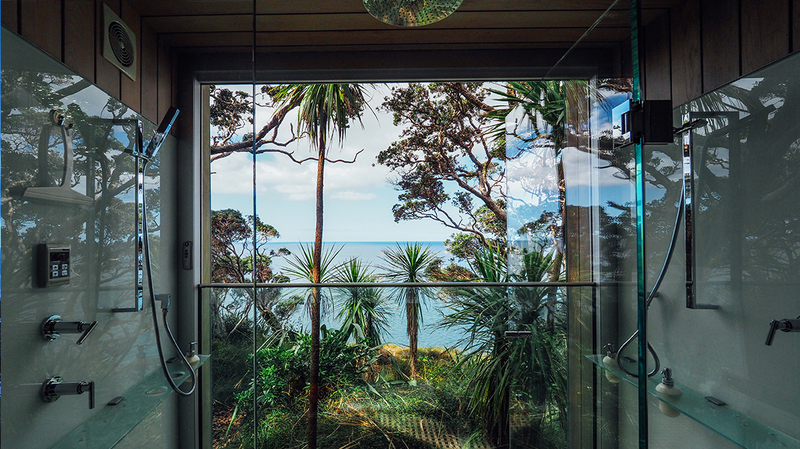 Out of this world views from this architectural shower. 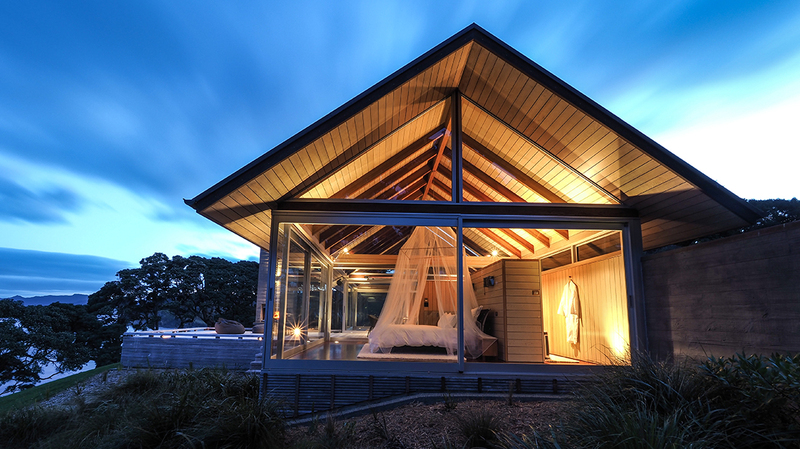 The Glasshouse offers an incredible “wow” factor with this very special location. 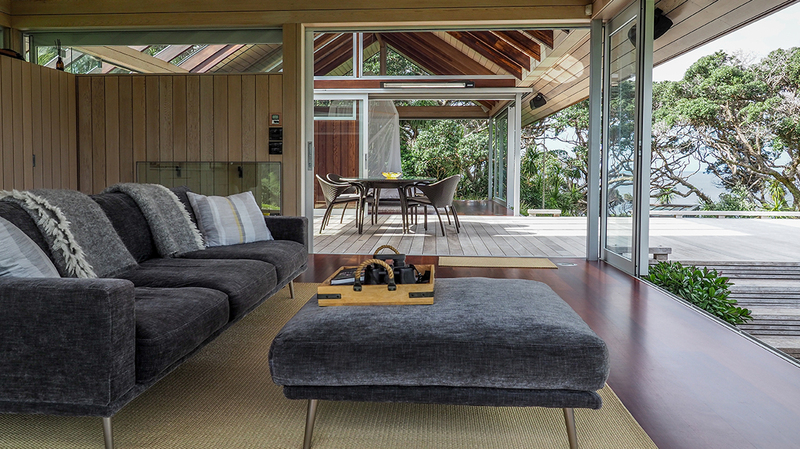 The house is set among ancient Pohutukawa trees at the end of a private peninsula. This is as close as you can get to being on an island. 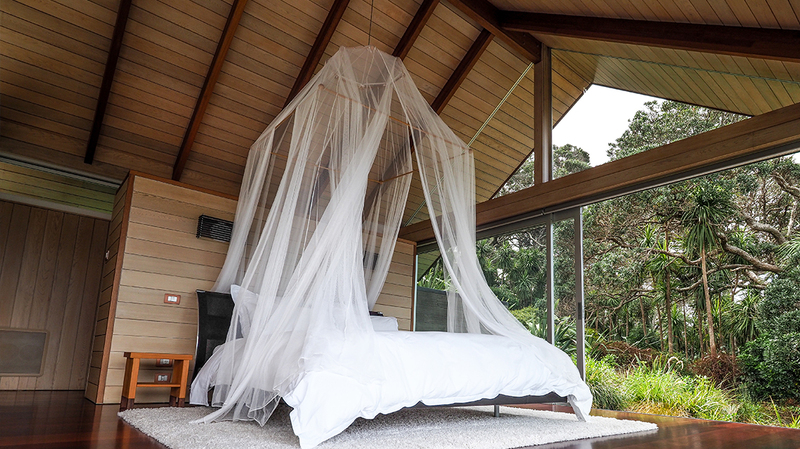 Relax in the hammock between the old Pohutukawa trees and it seems like ‘that’ other world simply does not exist. Glass, steel and timber have come together to create a full designer kitchen and state of the art architectural bathroom. A large electric glass slider opens to allow you to shower in nature. Similar to the main house the bathroom also has incredible views of the Pacific Ocean. 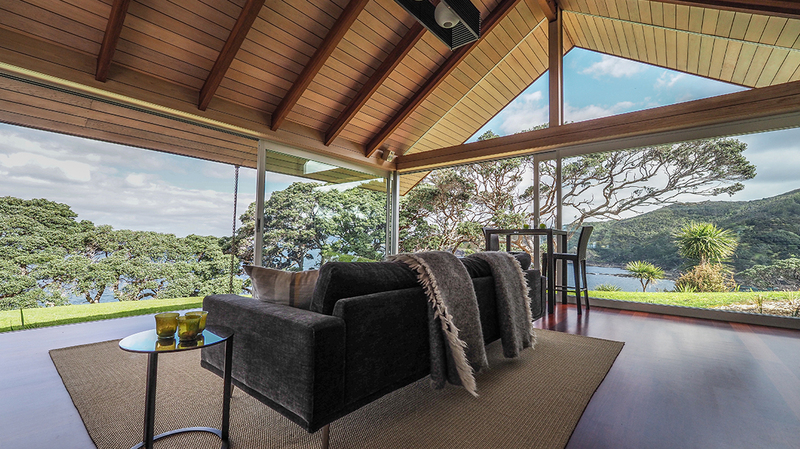 The Glasshouse is an iconic Kiwi destination for its architecture and incredible natural beauty of its land. The only sound you will hear are the gannets patrolling the headland. Or the muffled sound of breaking waves that filters up through the trees. 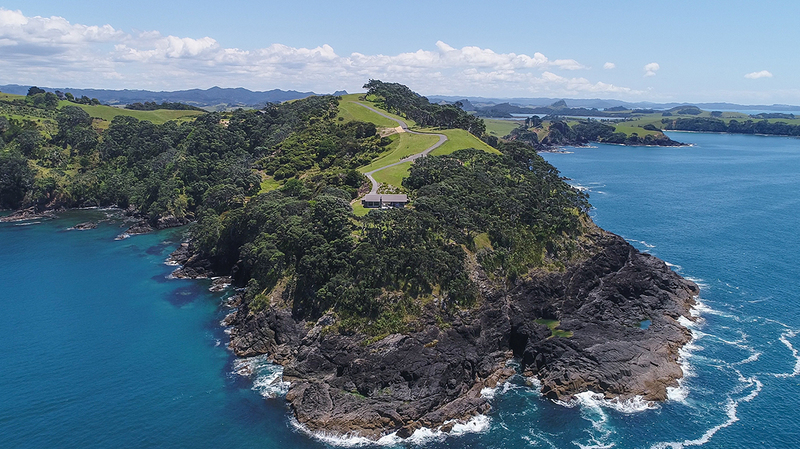 Distant islands dot the horizon, breathe deep and dream away…. 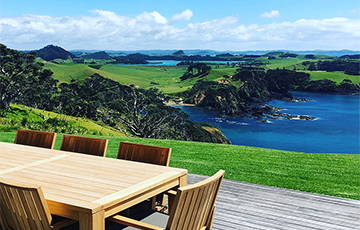 As a result, this is truly a bespoke getaway that lives up to delivering an unforgettable experience in Northland. 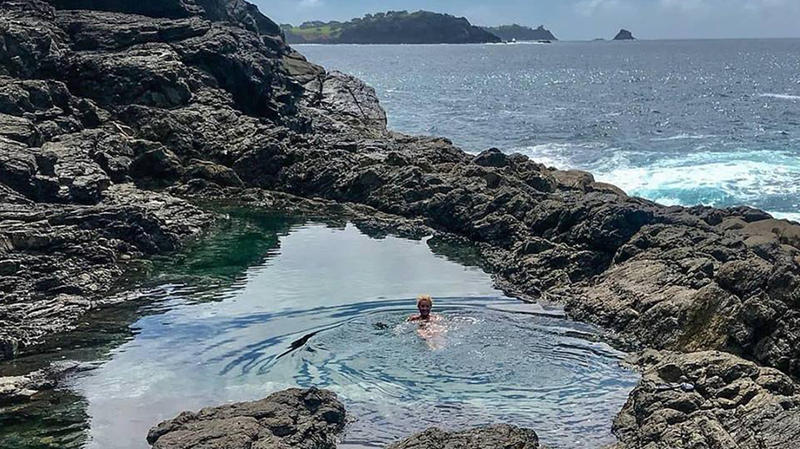 Swim in our salt-water reticulated rockpools or dive into the sheltered cove for a refreshing dip. 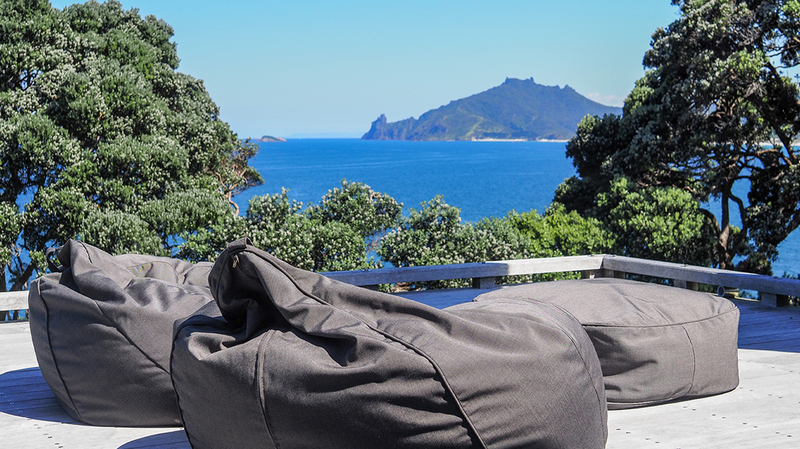 Beanbags are waiting for you by the waters edge. If you are travelling with a larger group of family or friends you can furthermore incorporate ‘Te Whara’. This facility is the larger residence on the property. 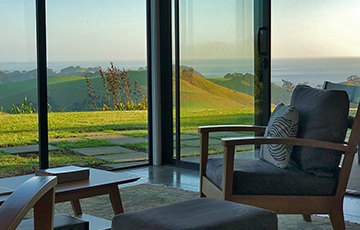 The Glasshouse including the main dwelling ‘Te Whara’ offers exclusively the entire Kauri Mountain Point gated peninsula. 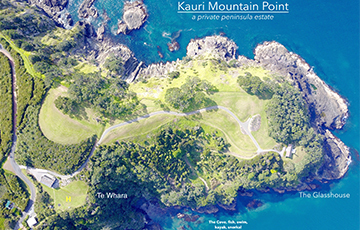 Kauri Mountain Point becomes your own private, secure peninsula hideaway. Helicopter access and bespoke services available. 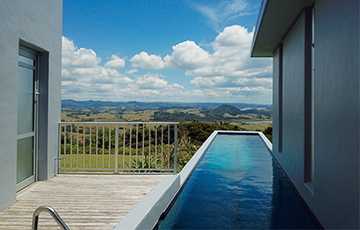 Luxury bespoke accommodation for up to 7 people. Catering available, please view options here. *due to fire restrictions over summer this feature may be unavailable. Minimum 4 night stay Dec 15 to Jan 15. Minimum 2 night stay / Minimum 3 night stay over public holiday weekends. Dine alfresco on the spacious deck and just look at that grand Pacific Ocean view! Waterfront peninsula setting. Unrivalled privacy and seclusion. 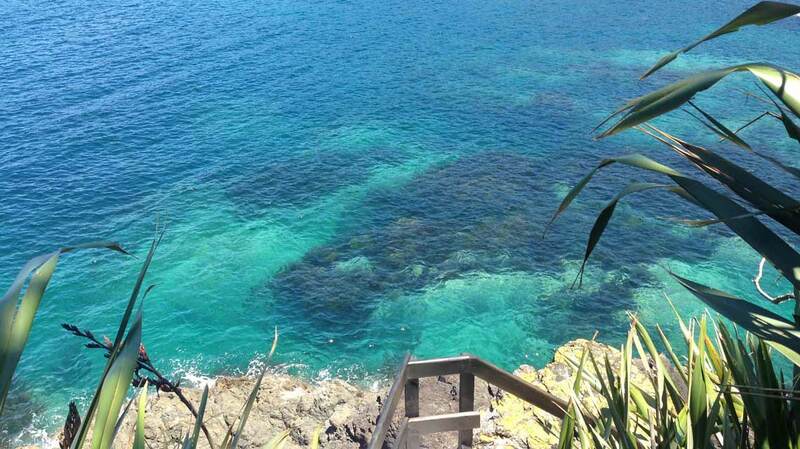 Private Cove access. 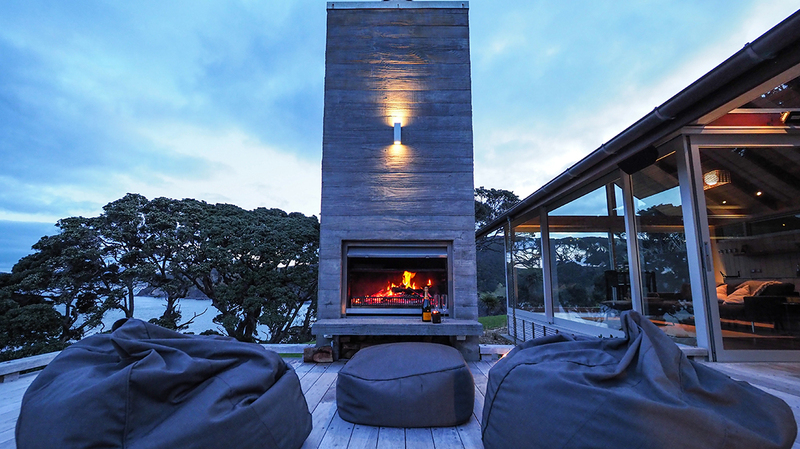 An architectural, contemporary retreat with inspiring rural and coastal views. Large family friendly accommodation with wrap-around decks. the best property for your holiday.